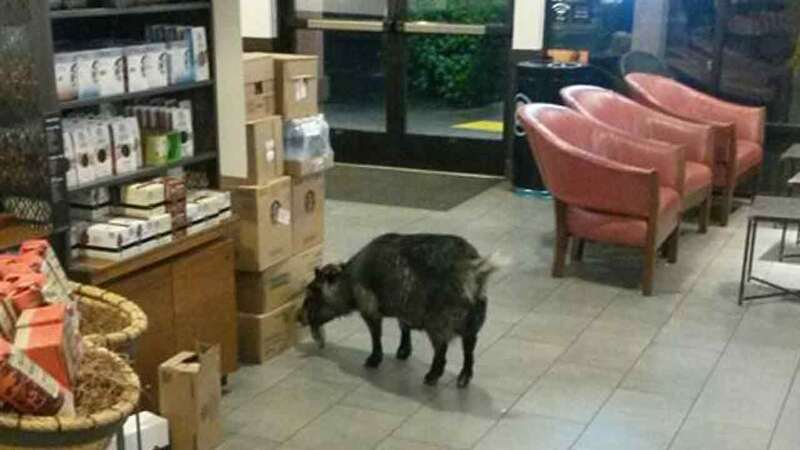 ROHNERT PARK, Calif. -- To many people's surprise, a goat seemed to have needed a caffeine fix when it wandered into a Starbucks in Northern California. Rohnert Park police said on its Facebook page dispatchers got calls about a goat at the Wolf Den Plaza strip mall Sunday morning. Authorities took the goat into custody and transported him to the local animal shelter, but not before capturing the animal on camera sniffing and exploring the coffee shop. Police said the shelter would safely hold onto the goat until its owner claimed it.